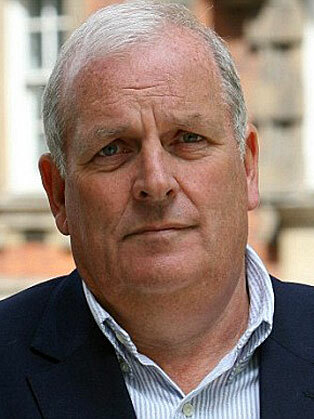 Former editor of The Sun, Kelvin MacKenzie started his media career when he was 16. In 1982 Kelvin MacKenzie was appointed editor of The Sun and stayed there for 12 years. Prior to this he was the managing editor of the New York Post. Kelvin MacKenzie's subsequent roles included being managing director of BSkyB and deputy chief executive and group managing director of Mirror Group. In November 1998, Kelvin MacKenzie became chairman and chief executive of the Wireless Group plc, which owned Talk Radio, which re-launched as talkSPORT. In 2005, The Wireless Group was sold to Ulster TV for £100 million. In May 2007 Kelvin Mackenzie presented A Tabloid Is Born, on the BBC. Since then, his media activity has included standing in for Nick Ferrari on LBC, and appearing on "Sport Relief Does The Apprentice" on the BBC and It Pays to Watch on Channel Five. He has now returned to his first love of journalism and writes a column for the Sun, contributes to the Spectator and regularly broadcasts and guests on television.